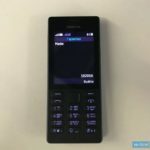 Nokia 150 feature phone is the first phone that Finnish company HMD Global presented, and in a way returned the Nokia brand back home. 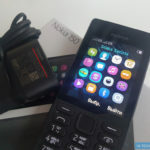 HMD bought the rights to manufacture again Nokia feature and smart phones from Microsoft, while Chinese FIH bought the factories from Microsoft Mobile Oy, which was once a Nokia’s Device and Services department. After all the changes that has been negotiated for more than half of the past 2016, one would expect to find Nokia logo all around the Nokia 150, but things aren’t like that. 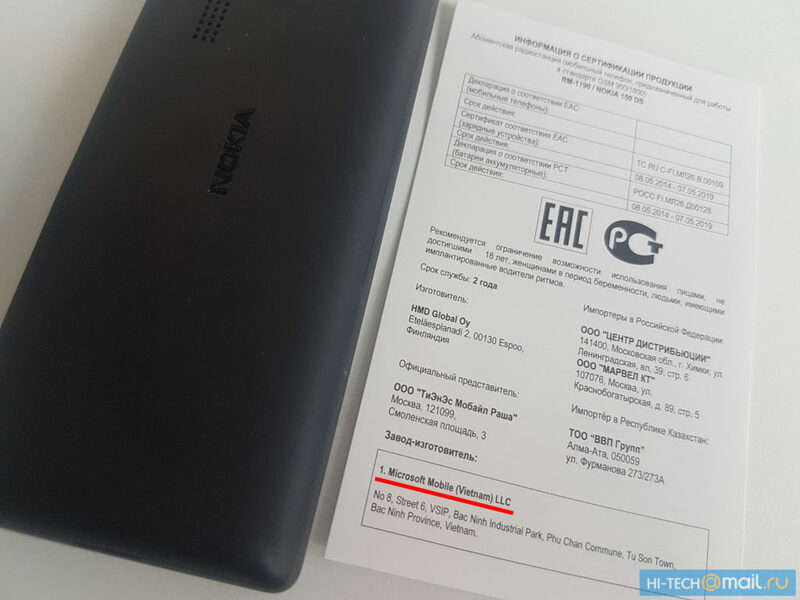 Russian site hi-tech.mail.ru got in their hands Nokia 150 for a test, and they were surprised to see some old markings on the retail box. 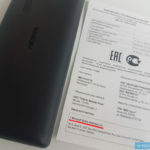 While there is the HMD Global name printed on Manual, the device is still manufactured by Microsoft in Vietnam, even though FIH bought the plant. Also, Microsoft logo is still there on the charger, and all of that could be confusing for the buyer. However, the most important thing is that Nokia logo is on the device. 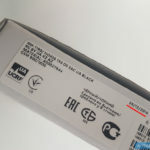 This confusion with different logos printed on the box and charger is probably due to the transition of the ownership documentation between FIH and Microsoft. In addition, the device was probably ready before the HMD-Microsoft-FIH deal, so this happened. Nevertheless, HMD could have insisted on uniform branding of the packaging content. Anyway, it is nice to see that the device in stores, and hope HMD will sort this problem out soon.